I am new to the forum - and my name is Rob, I am from Essex. I am a 14 year old boy, and I would like to start up a mobile disco business with my friend. We know how to DJ via a laptop and have the software etc. but need some advice on getting started. [*]Would people actually hire us knowing our age? I know a lot of people may be wary about two teenagers, and may just stereotype us to be rubbish and making some quick cash - which is not true of us, as we are hardworking and honest. If people would still hire us, we understand by reading through these forums and other websites that we would need at least £600ish to get started minimum. We would need to buy a mixer, speakers, lights and other extras like mics and leads etc. Also, would anybody happen to know if you need a license at this age if we would just be doing birthday parties, anniversaries, xmas and new year parties? We would primarily be using a laptop to play the music, as it seems the most cost effective way of offering our services, and the most efficient - am i correct in thinking this? If anyone could answer any of my questions - and point us in the right direction, we would be most grateful. Also, great forum - we have noticed many tips and tricks around the site just browsing! This isn't the best advice by far, but I'll try to outline as best I can! Because you are 14, you should really seek advice on being able to work in a commercial capacity as a DJ. For example, lets tale 'pub work', one of the areas where many DJs cut their teeth and gain experience! If the pub is used “primarily or exclusively” for the supply and consumption of alcohol on the premises, a child under the age of 16 is not permitted on the premises when the pub is open for business, unless they are accompanied by someone 18 or over. Also, this is worth noting. A further 'restriction', is that no unaccompanied child under the age of 16 is allowed on any premises licensed for the sale and consumption of alcohol on the premises between the hours of midnight and 5am if it is open for business!!! So even if you bagged working on NYE in a pub, a minute after midnight, and you could be breaking the law, or making life very, very difficult for the landlord of the Pub! Not good if there is a disturbance on night, eh? As far as I'm aware, the minimum age to work behind a bar and serve alcohol is 18, 'irrespective' of any supervision from the Landlord / Manager. But don't take my word for it, ask any established landlord about the law and working age, then go check with someone else qualified to answer! Also, check out these on the CAB site: here and seek further advice if you intend to DJ for commercial gain! Now, appreciate this may be a bit negative sounding, so I'll jump to another point on one of your questions, and sort of come back a bit more up-beat! If you download music (i.e. purchase from a UK based download source) then you may not need a 'licence' if the music is downloaded to the Hard Disc Drive you perform from, however, always read the Terms and Conditions of the music download supplier. They may state that the music is for personal use only!!! All music is more or less for 'personal' use really, but unlike commercial CDs (bought off the shelf), downloadable music files are under a different copyright / usually a different set of Terms & Conditions (especially from the download supplier). If you don't change the format of the download, then you will not need a licence, however, always read the Terms of Conditions of the download site. Personal use and comercial use are two different things. As a DJ, you can not just download and burn purchased music to a disc and use as you would a normal CD, because you have effectively changed the format of the music which has been released (usually, digital files are cheaper than a CD music format) hence why you'll need the DUB licence for 'DUBBING'!!!! This 'DUB Licence' is usually promoted and bantered around on forums mainly by DJs on behalf of the music industry's collection agency (and usually justified by the ones who have forked out for itt too!!) and may well be required if your circumstances should dictate. In fact, it WILL be required if you should rip CDs to mp3 / digital file format - because you have DUBBED from one medium to another. Another term used for this process is 'Format Shift'. Something to bear in mind - CDs are of course tangible and usually, the quality of a CD album is far superior than that of a digital album (HQ mp3) in terms of sound quality. When you buy a download, the 'audio track' is usually compressed and therefore lower (quality) than the physical medium. Hard drives do not last forever, so a back-up is obviously a good investment. However, when you buy a CD, this is effectively a back up (if you intend to rip from it!) and a high quality one at that, i.e. .wav files. Like I said before about 'T&Cs', there are conditions with regard to HDD back-ups under the DUB licence. This may all sound a little complicated but in practice, it is actualy quite straight forward. If you use a combination of systems, and not just put everything into one basket (so to speak) then you can benefit from both digital files AND CD playback, which is also pretty cool should the laptop freeze or HDD pack-up during playback! Also, a CD player is far quicker to 'boot-up' than a laptop! Now, some venues may not like the idea of under aged workers on their premises unless a level of liability is in place. Imagine if just by accident you burnt the venue down! LOL! Not funny really! The loss in booked revenue and cost of repairs / rebuilding to standard as before it turned to ash will undoubtedly be directed at your legal guardians! Yikes indeed! This is why venues set 'Public Liability Insurance' levels at varying rates, but dictate what the service provider or entertainer must have before commencement of entertainment on premises. If "you ain't got it" when they request it, you can be refused entry / turned away on night - reputation down the pan and around the U-Bend even before you get going! LOL! If you CAN work in some capacity as a mobile DJ (with adult supervision, etc) and rip all the CD's of great tracks that you possibly can get your hands on, then do consider setting aside a spare couple of hundred pounds before you buy ANY kit, and you can then buy a licence to DJ in public places like a club or pub which is accessible to the public without any fear of being in the wrong….probably. If, however your work will be to DJ at a relatives Wedding party (private ), or aunty Norma's Birthday party (private) or a sisters engagement party (private), then you are not exactly operating in a public capacity / venue, unless ANYONE is invited to drop in 'Facebook' style. I'll elaborate as it was explained to me: Sure, a venue may be hired by a member of the public for the purpose of a PRIVATE party, or the family living room may be left bare of furniture, having been squeezed into the garage to make room for the DJ and dance floor, but it's unlikely that a 'licence' will be purchased for PRIVATE PARTY purposes, unless certain invitations to the party are extended to people you / the host don't know, or the party breeches a local bylaw where a different licence all together may be required! You'll have to look at the amount of work you intend to do 'publicly', and weigh against the private work you intend to do, and use some common sense! If all your work / 90% is for free, and mainly for the family, then it is highly unlikely you will need a DUB licence. For the 10% of work that you 'may' need a licence, consider another option - use legally purchased CDs, as no DUB licence is required for utilising! If you are going to operate in a venue playing CDs, then so long as the venue is licenced, you'll be fine. That said, it is an often neglected responsibility of a DJ/entertainer to ensure that the correct licenses are in place in the venue before commencement of entertainment. So always do the leg work and know your rights, your obligations and responsibilities - even to the TAX man, because they are the biggest people to fear or upset!!! Let's be clear on a 'grey area'. As it was explained to me, an authorised inspector DOES have the power to enter a public venue (even the notorious public houses and blood baths in port towns) and take note of the music the entertainer plays, and how it is played. Typically, Working Mens Clubs have inspector visits where the music played is noted, media format used, etc. They may even go up onto a stage and 'sit' behind the DJ/entertainer - if there is room / safe to do so! It is of course in the interests of the venue management to permit the inspector to pop in, unless a PRIVATE event is in operation on premises, and we've already covered that. Whilst inspectors DO NOT have the power to enter a privately owned residential property or private event (unless they are invited) it is not an excuse to only perform at PRIVATE functions utilising copied music!!! Venues can (and do) keep a record of who is performing privately / booked by the venue. This 'info' can be shared with an inspector rep who may wish to follow up with enquiries. It is reported that DJs have been contacted at home via letter and via direct telephone call from 'enquiries'. If you have nothing to fear and everything is above board, then you'll have no problems. Often, the 'enquiry' has been orientated about a different type of licence (venue) but all the same, could be quite worrying! The best thing to do should this ever happen is to be polite and pass the phone to the legal guardian in the house (whoever pays the telephone bill)! Now, a TAX INSPECTOR is a different kettle of fish. Some Tax inspectors DO have the power to enter your home and a venue. They may use a bit of common sense too and not gatecrash a party, but have been known to turn up in force at Celebrity gatherings and private events to have a chat with 'individuals'!!! Not likely to happen with a mobile DJ you may ask, but the minute attention is drawn to the eye with odd figures in the books, venue or otherwise, it is good practice to keep a record of everything for at least six years. In fact, some of this time (if not all) is a legal requirement! You can always cross reference with fellow entertainers if the info received sounds about right or odd! Equipment wise, if you only have a few gigs under your belt, you may wish to hire or arrange for a fellow DJ (established) to assist with kit. Find a local DJ who can come to some agreement about supplying kit, and you'll save some money, as well a probably benefit from their business experience. Visit the DJ Knowledge base here and check out the articles and guides. This forum area is quite useful too. There are also free guides to download and worth a read here. By the way, I don't always get it all right - I just didn't want you to think you was being ignored!! I will go through your post further once I get home, but thanks a lot! I started DJing at 15 - it was great fun back. You do start with the youth club work and the lower end of the function market. The hotel work will not follow for a few years. Wow, the music industry is a big-money game! I know what you mean about useable songs, but do read the T&Cs carefully. If it states that non-commercial use of digital files, check for something in the T&Cs along the lines of "you may use the audio CD which you have burned in the same ways in which you may use an audio CD purchased from a retail store." Take into consideration what was explained to me (above) and the venue licence - go figure! Anyway - why not compromise. Start off using a mixture of digital downloads and original CD. You could buy new music as downloads, build up the collection. The cost of music is fairly cheap these days! If you want to add older tracks to the collection, join something like 'emusic'. The introduction is very good. £15.00 a month may still get you 75 tracks (approx 20p each) and the odd new album release for far less than other digital sites, but you will have to hunt for tracks. Their archives have a lot of songs, but they are not in the same league of 7Digital music content...yet! Look out for Juno (UK) - another download site! I will probably mix the current stuff from downloads and search round markets and car bootys for some used CD's with old tracks on - have seen them pretty cheap before - like a quid sometimes! We have mapped out the kit we will be buying to start off with, at a budget of £900. We have also joined forces with another mate too to spread the cost. We only really want to do it as a bit of a hobby, plus some extra cash on the side! Will keep you updated mate! Who says tartan is plain and boring??? 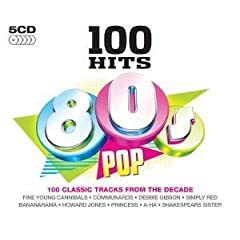 Another source for starting a cd collection is Asda/Tesco (and I'm sure other reputable retailers) which sell the 100 Hits Dance Anthems/60s/70s/80s/90s/Love Songs/Rock/Jazz/Swing/Driving Songs/etc for around £8 each, which equates to 8p a song. 100 Dance Anthems at Tesco £8; Amazon £4.15 inc postage. It is second hand but for the application and bearing in mind just how many you might need to buy it's worth it. The dealer Zoverstocks is the cheapest in the UK. Many albums for sale at £0.01 plus the standard £1.21 postage. He makes his money on the postage and volume. I've bought all of the good 100 albums from him and although there is overlap, at 3p / 4p a song it's worth it. The Mackie 350s are obviously the smaller versions of the 450s. Considering the type of parties you hope to be doing. They may be ok for small family parties, but I honestly think you'll be pushing them hard in a fairly busy youth club - or teenage party. If you have a busy night of 100 teenagers, you'll be under a lot of pressure to get the volume levels up high - and cranking things up to max really won't do your gear any good. However, if they will be smallish (is 40/50 guests) then the 350s will be fine. I assume you're getting them 2nd hand, as they are about £300 ea new. Keep an eye out for gear on offer in this forum - DJ's sometimes upgrade and sell off their gear. The same goes for music - consider what gigs you think you'll do. You're obviously have an interest in music, and (generalising here) probably won't be asked to cover a 60th, and most early gigs may be youth club/teenage/kids (I still enjoy the odd 13th - so nothing wrong with covering kids parties). The playlist section of this forum should give a good indication of what DJ's are being requested to play for specific parties. You'll see a familiar pattern of tracks (Abba/Take That/Bon Jovi/Amy Winehouse etc), and trying to acquire as many of these as possible from 2nd hand-shops/ebay etc will get you a basic level of music, leaving you to concentrate on more modern stuff. One thing to consider - a general "mobile DJ" who covers Weddings/13ths/60ths etc will need a very wide selection of music. This takes time, money and knowledge to get, and you'll always get requests for a track you don't have. When I first started, I thought I had a good collection, but had some really big gaps which were pretty embarrasing to me- but I noted it down and made sure I got the CD's/Tracks. If I'm playing a 13th- its mainly current chart, RnB, House, Dance etc- normally not much older than 5 years (they will have been 8!). If they ask for Take that - it'll be "Shine" or a modern track and not "Everything Changes!" With this in mind, getting a few "Now" CD's and other compilations (Ministry of Sound/RnB yearbook etc) will allow you to cover a 2 or 3hr gig. I also assume you've also got your own music. A few 60's, 70's, 80's and 90's Compilations should help with the odd random request, and obviously as you are able to charge, you can invest earnings into a better collection. You should be easily be able to get these for £20 total (on CD second hand) and a smattering of classics will do you well. Being able to play a few older tunes (ie at a family party) may get you work outside your normal network. You should try to create some kind of booking form/contract. This should offer some protection from "bad stuff" and when dealing with clients - it will help show them that you're running a serious outfit. Its best to search some of the other posts about contracts etc - but obviously feel free to ask for help in the Business section. There is obviously lots to take in - but you're surrounded by people of vastly different backgrounds, abilities and experiences, so read/search and ask away. Would like to say that you don't need to be 18 to serve alcohol, however if you employ someone under the age of 16 to do the job of serving, employment laws may come ringing. Also good luck mate! If you need any advice on kids parties leave me a message on here or PM me when your PM system kicks in! i doubt you will be able to dj at 14, i started when i was 18, get into residency you'l never look back!